Kartar Dhillon was born on April 30, 1915 in California’s Simi Valley. Her father, Bakhshish Singh, immigrated to the U.S. in 1897 and her mother, Rattan Kaur, arrived in 1910. 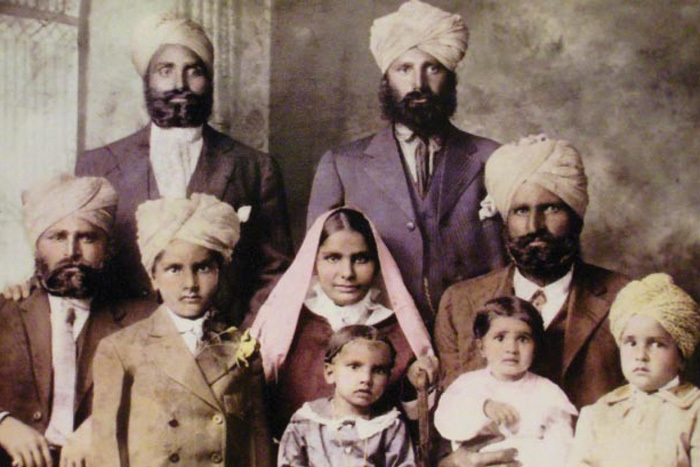 One of the first South Asian families in the U.S., the Dhillon family was involved in both the Gadar Party, agitating for India’s independence from British rule, and with labor organizing through the Industrial Workers of the World. When her brother Bud Dillon was just 12 years old, he volunteered to join a mission for India’s freedom, which took him around the world. 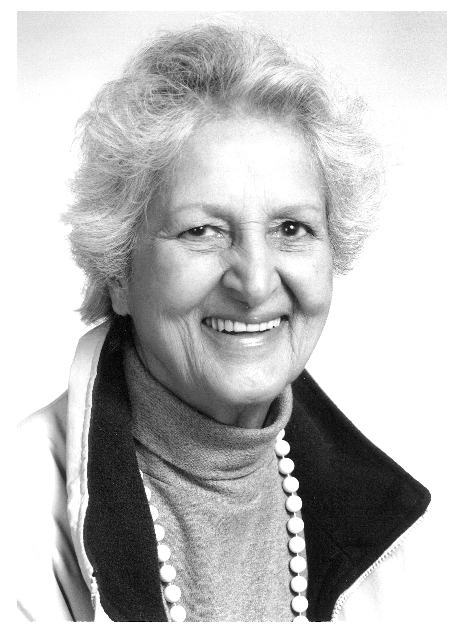 Kar was herself an activist and writer, involved with India’s freedom struggle, and later supporting organizations like the Black Panthers and helping organize farm workers in California. She passed away on June 15, 2008. My mother was sure she would die after surgery. A doctor told her she would have to go to the county hospital in Fresno to have a tumor removed. Her first sight of the doctor in the hospital confirmed her fears. "That man does not like Indians," she told us. "He is the one who let Labh Singh die." She had never before been a patient in a hospital. Her eight children had been born at home with the help of midwives. The day before entering the hospital she lay in her bed and brooded about the fate of her children. She was forty-one years old, widowed for five years. Her youngest child, born after the death of our father, was five years old, and her first-born, delivered after a few weeks after her arrival in the United States in 1910, was twenty-one. Her husband had promised his brother in India that his first-born son would be his son because he had no children of his own. So they taught their first-born to call them "uncle" and "aunt," which he did, and the other children, all seven of us, hearing these terms, called our father and mother uncle and aunt also. "Chacha" and "Chachi" were our names for them, uncle and aunt on the father's side. My parents had five sons and three daughters, and it was the daughters who worried our mother the most. Whatever we did that was different from the proper behavior of young girls in her village in India signified danger. And because most things here were different, I was in constant trouble. At a very early age, I became convinced that my mother hated me. It seemed to me that whatever I did, or didn't do, was wrong. She cursed and beat me so much that I automatically ducked if she lifted her hand. When entering a room, I kept to the edges to stay out of her arm's reach. "Get-up, you black-faced witch," was a usual eye-opener for me in the morning. And throughout the day, it was, "You Parrot's beak," to remind me of my long, ugly nose. Sometimes when I was no more than six or seven years old, I would wonder why she hated me so much. Watching her nurse the newest baby, I would wonder what she felt about having carried me in her body. She frequently talked to us about God. "He made parents to be as God over their children," she explained once. "If children do not obey their parents, they will surely go to hell after they die." Hell was a place, she said, where the disobedient would have to pass through walls set so close together it would be almost impossible to squeeze through them, and she would indicate a tiny space with her thumb and forefinger. I wasn't able to envision my soul, so I suffered endlessly imagining my body trying to squeeze through that tiny space. Sometimes when she was particularly exasperated with me, she would say, "God must have given you to me to punish me for something I did in my previous life." I went about feeling guilty most of the time, but I was never sure what I had done wrong. In time, I decided my crime was being a girl. One day before she entered the hospital, she summoned me to her bedside, like a sovereign might summon a serf. I entered her room braced for scolding. I knew she wouldn't hit me, because I had grown older – I was sixteen then – she had given up on physical punishment, saying, "You are too old for whippings now. I can only appeal to your reason." The truth was, I had grown a head taller than my mother; I was too big. I had learned long before not to speak when she scolded me for something. If I ever dared to protest an unjust accusation, she shouted, "Do not speak back to your elders." At first I did not speak back because of her order; later I found not speaking to be a useful form of resistance. I would stand mute before her at times, even when being questioned, which added to her rage and frustration. I went into her bedroom that day, tall and gangly, head hanging, waiting for an outpouring of abuse. But it did not come. Instead she said, "You probably know that I don't expect to come out of the hospital alive. You will be alone now, with neither father nor mother to guide you." She had never spoken to me in a confiding manner before. I felt a rush of sorrow for her, this frail woman lying before me out of whose body I had come and I felt guiltier than ever. Two days earlier she had paid a doctor in Merced with chickens, eggs, and vegetables, to learn that her tumor, grown that size of a melon, had to be surgically removed. "Your father wanted to arrange marriages for you and your sisters before he died," she continued, "but I absolutely refused. I told him, ‘We came to this country to give our children an education. What good will it do them if they have to marry men they do not know and perhaps might not like? You were only eleven years old when he died you know." "Oh yes, Chachi," I wanted to cry out to her, "I know. How well I know. But I thought it was only he who cared about me; it was only he who was kind to me. He would stop you from beating me, and when you pointed out my faults, he would say, she will learn better when she gets older, and you would reply, I doubt it. And yet it was you who saved me from a commitment I would have hated." I wanted to pour out words of gratitude, I wanted to comfort her, but I was too confused to say anything, and I remained silent. "You will marry whom you please," she went on, "but it is my duty to teach you how to conduct yourself in marriage. "You must remember that a woman is subservient to a man. When she is a child, she obeys her father; if he should die, then she must obey her oldest brother. "When a woman marries, her husband is her master. "If she becomes a widow, then she must defer to her sons." The year was 1932. My mother did die in the hospital, a few days after the surgery. Her youngest child, my brother, was not old enough for grade school yet, so we took him to high school with us for the remainder of my senior term. I had dreams of becoming an artist; I planned to work actively for India's freedom from British rule. I looked upon marriage as a prison. But even though I abhorred the idea of marriage, the same year, right out of high school, I got married. My oldest brother already planned to send me to India to marry the "right person." But the man I married, a political activist, born and raised in India, warned me, "You will have no rights in India. Your brother can force you to marry anyone he chooses. Marry me, then he will have no power over you." I idolized this man, I had been impressed from the start by his fiery speeches at meeting of the Gadar Party, an organization formed to fight British rule in India. He already had a degree in political science from the University of California, Berkeley. "But I want to go to the university," I said. "You can do both," he insisted. "I will help you." We got married secretly so that I could go in caring for my younger brothers and sister. But I did not keep my secret for long, because soon I had morning sickness and was frequently running out of the house to throw up behind the trees and bushes. "No children," I had said to my husband. "Political activism and babies don't go together." Though he had agreed with me, I found myself pregnant nonetheless. My oldest brother was so furious when he found that he kicked me out of the house. "Go live off your husband," he said, though he had bragged to people earlier about how much I did for the family. "Give her two empty bowls," he would say, "and she can produce a delicious dinner for the whole family." I wanted to take the two youngest children with me, but my next oldest brother said, "You will have enough problems being married." A month later, all four of the younger children were brought to live with me and my husband – one of them had accidentally burned down the house. Caring for the family was nothing new to me. When we were no more than seven and eight years old, my mother used to assign a baby a piece to me and my sister to watch for the day. At twelve, I was doing the entire family's wash on washboard by hand, and taking turns with my sister to cook meals. By high school, the job of milking thirty cows every morning and night was tacked onto my other duties. When I was in my eighth month of pregnancy, I had had no medical care. The clinics in the area where my husband leased land on a share-crop basis refused me because I had not been in that county a full year. So in an effort to obtain care, all the children and I had moved back to the farm that my brothers sharecropped. We slept on large raisin boxes under the open sky, and I cooked meals on a grill placed over a hole in the ground for the wood fire. A family friend was shocked to learn that I was not getting medical treatment and took me to the director of the same county hospital where my mother had died. But she also refused me admission, saying, "If these people can afford to farm, they can afford medical care." My friend pointed out that we did not have any money, that we could no even buy enough milk for all the children. "They buy one quarter of milk a day, and take turns drinking one cup every other day." She told her that my teeth were breaking off in pieces for lack of calcium, but the director remained adamant. "She can't have her baby on the street," my friend said. The hospital official fixed her eyes on my friend and asked, "Then why do these people have babies?" As we walked out the door, a nurse who had been in the room whispered to us, "The hospital can't turn you away in an emergency. Come in when you are in labor." The hospital official fixed her eyes on my friend and asked, "Then why do these people have babies? "And that is what I did. My joy was great at learning my baby was a girl. Because I was slipping in and out of the anesthesia, I asked three times to be assured I had heard right. I had indeed. I was so happy it was a girl because I wanted to prove to the world that she could be the equal of any boy ever born. Above all, I wanted to a girl to give here the love and understanding that had been withheld from me. In the hospital the nurses wouldn't believe that I was married because I wore no wedding ring and I gave my own last name instead of my husband's. I told them my mother had not worn a wedding ring, that it was a cultural thing. Also, I saw no reason for changing my name to someone else's. One day the superintendent of nurses came into my ward, sat down on the edge of the bed, and took my hand in hers. "You can tell me, dear," she said gently. "You're really not married, are you?" "But I am," I said. "Then why don't you use your husband's name?" "Why doesn't he use mine?" She let go of my hand. "Is your husband English?" "But his name is Sharman. He must have borrowed it from the English." "The English probably borrowed it from us," I replied. "After all the Indian civilization has been here much longer." I eventually lost the battle to keep my identity when I went to work in a war plant and was asked once too often why, if I was really married, didn't I use my husband's name and wear a wedding ring. I went to the dime store and bought a "gold" ring which I wore until the day I decided not to be married anymore. "What have I done wrong?" he begged to know. I didn't have the courage to confront him, to tell him how he cheated me out of an education. You see, the day I was to sign up for classes at the university, he accused me of wanting to be around other men. I didn't confront him about how he put an end to my political work either. The day I was to cover a strike for the worker's paper, he asked me, "And who will take care of the children if you are arrested?" When he asked me what he had done wrong, I only told him, "Last week when I asked you to buy me some white sewing thread, you said you had bought some another time, and what had I done with it." He looked at me as if I was crazy. "We've been married eleven years, and when I ask you what is wrong, you tell me I wouldn't buy you five cents' worth of thread?" "That's it exactly," I said. "It cost only five cents, but I didn't have even that much money of my own. I had to ask you for it." I had been in a habit of keeping silent about my real feelings for too many years and was unable to articulate all of my grievances. I decided at that moment that I was not going to be a servant any longer – and an unpaid one at that. Freedom from marriage at the age of twenty-seven with no job skills and three children to support is not quite the stuff of dreams, but I had finally taken my destiny into my own hands. I could wait on tables, and my typing ability could get me work in offices. Most important, I could live in a city to avail myself of evening classes and guarantee a good education for my children. My cardinal rules for raising children were: no physical punishment, no discrimination between boys and girls, and no unfairness. When I was a child, my mother sometimes punished me for someone else's misdeed because she thought I looked guilty. I decided to believe my children. In the house where I live with my son and two daughters in San Francisco, there was not girl's work and no boy's work. The three of them helped me according to their ability. My son became the best cook because he started learning how the earliest. Education topped the list of priorities for us. We took classes in everything that was available. I studied shorthand and bookkeeping to increase my earning power, and art and literature to fulfill my real aspirations. The children took classes in dance, art, and biology. They attended lectures by prominent world figures, went to the symphony with donated tickets, and took music lessons on the second-hand piano and violin I had purchased. With the leanest of budgets, we could be seated in only the top rows of the theaters and opera house, but we enjoyed the performances of many talented artists nevertheless. In high school I had always been on the outside looking in. When my classmates stayed after school to rehearse plays, take part in sports, or play musical instruments, I went home to do housework and milk cows. I was determined to help my children expand their horizons taking advantage of all the things the city offered. On weekends we rented bicycles and rode through Golden Gate Park; we picnicked on the ocean beaches; we visited the zoo, we saw the exhibits at the museums. At home, when our studies were done, we played chess. When I was a child, if I was not studying, I had to be working, or if I was not working, I had to be studying. So now I played with my children – chess, tennis, swimming. I believed that life meant to be enjoyed, not suffered. We may have lived in the slums at times, but our apartments were sunny with life. Our rooms were filled with books and music, social activity, and intellectual endeavor, No matter how shabby a place we moved into, I could make it beautiful with paint and paintings. I sometimes think back to the many homes I lived in as a child. I cannot recall a single house that had running water or a rug on the floor. But I can recall vignettes of my mother and father seated at the rough kitchen table. On one occasion my mother was drawing a scroll of birds and flowers entwined with leafy vines around the borders of a letter to her family written in Punjabi script. On another occasion my father sat at the table in the light of a kerosene lamp writing poetry on a schoolchild's lined tablet. Was that where my interest in art and literature was born? Was it their artistic creativity which sustained them in the harsh reality of their barren existence? Sometimes, when I look beyond my own hurts, I try to envision my mother's life before I arrived. I marvel at her survival as the family trekked around California and Oregon, living as they could wherever my father found work. He had the company of other men, friends, and workers on the job. My mother had no one, no other Indian women to keep her company, no sisters or relatives to give her a hand with the housework. She had to do it all – all, that is, until her daughters grew old enough to help. Both my father and mother were pioneers in those days of the early West. My father had arrived at the port of San Francisco in 1899 as a matter of choice, an economic choice. He left his village in India of his own volition. Yet when my mother came to California it was not her choice but her husband's. My father had returned to India, and brought back to the United States the wife selected for him by his father. At the age of seventeen, she had been picked up virtually like a piece of baggage and taken off to a foreign land by a man whom she never saw before her marriage. It was her good fortune that he was a kind and generous man who taught her to write in Punjabi so that she could communicate with the family she left behind, the family she would never see again. Neither of my parents went to school, but my father had learned to read and write both Punjabi and English in the course of his years of service in the British army. His was the vision that motivated me to educate my children. With that wisdom I have gained, I now realize that some of the bitterness my mother projected onto me, came from her status as a woman in a world controlled by men. I think my mother would agree, if she could, I consider my greatest accomplishment summed up in a compliment paid to one of my children: "She is not afraid to think." Our deepest gratitude to Dr. Ayesha Gill for sharing her mother's story with us! Republished with permission of Asian Women United of California. "The Parrot's Beak" appears in Making Waves: An Anthology of Writings by and about Asian American Women (1989) and Maria Hong's (ed.) Growing Up Asian American: Stories of Childhood, Adolescence and Coming of Age in America, from 1800s to the 1990s (1993).